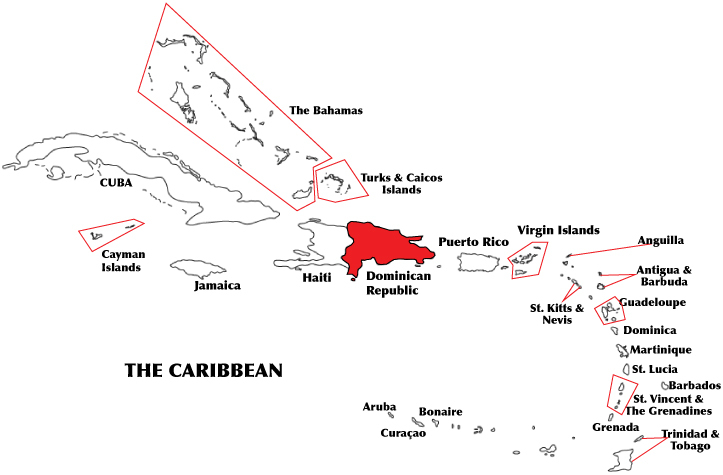 The Dominican Republic shares the island of Hispaniola with Haiti, but has a much higher standard of living. Jared Diamond offered some characteristically plausible-sounding reasons for this disparity in his 2005 book Collapse, and these ideas received a fair bit of media coverage following the Haiti earthquake in 2010. While race and human capital both played a part in those explanations, Diamond did not mention intelligence differences (having already rejected this line of thinking as “loathsome” in Guns, Germs, and Steel (1997)). However, the theoretical relevance of this variable is obvious: intelligence and achievement tests are a more direct measure of individual human capital than input variables like education. Jones and Schneider (2006) found IQ to be “the most robust human capital measure” in an expansive dataset of international comparison measures—a better predictor of economic development than variables like educational spending and enrollment. IQ and the Wealth of Nations (2002) did not include data for either Haiti or the Dominican Republic, but Lynn’s dataset has included one study for the Dominican Republic since the publication of IQ and Global Inequality (2006). Here I scrutinize Lynn’s use of this reference and introduce a few more small studies. The data available for the Dominican Republic is quite meager. Six of these eleven nations, including the Dominican Republic, were new to Lynn’s dataset. The reference was listed as “Unesco. (1998). Statistical Yearbook 1998. Paris: Unesco Publishing & Bernan Press.” No US libraries carried this dense reference book, so I was forced to buy it used from Amazon for $30. I was therefore displeased when I leafed through it twice and discovered it contained no such data. Another error. I reasoned that Lynn was probably describing the data from the First International Comparative Study (a regional study of academic skills in Latin America, which I discussed in the Cuba post), but this explanation didn’t entirely add up. Lynn listed data for Peru, which was not included in the First Comparative Study reports, and he did not include data for Cuba, which not only participated in the study, but also became something of its focal point after scoring some 1-2 standard deviations higher than all the other participating nations. Further, the inclusion of this study would be inconsistent with the way that Lynn has classified data from all the other international achievement tests. For example, Lynn did not report data from PISA and TIMSS as IQ measurements, even though including them as such would have expanded his dataset much more than the Latin American study. The newest book (Lynn & Vanhanen, 2012) does confirm that this is the data Lynn was describing. The faulty statistical yearbook reference has been corrected to “UNESCO. (1998). Primero estudio internacional comparativo. Santiago, Chile: UNESCO”. This reference reaffirms the problems I just noted: it explicitly states that data is not included for Peru (p. 12), so it’s not obvious how Lynn created the IQ score from this reference, outside of mistakenly using the data from the sample size tables as math and reading scores (this would at least explain why he reports “4000” as the sample size for every country instead of the actual sample sizes given in the reference, which range from 2,864 to 5,053 (p. 19). And it’s difficult to avoid the idea that Lynn simply omitted the achievement data for Cuba, without comment, because it would have given him an IQ score close to 115 and injured the predictive power of his dataset. In addition to fixing these errors, Lynn should either stop using the achievement data from this reference as IQ scores, or start using data from all the other international achievement tests as IQ scores. Neither decision is unjustifiable, but the dataset should have more consistent inclusion/exclusion criteria. I will report the IQ score equivalents from international achievement tests, but when I eventually upload the tabulated data files I will also leave a distinction so that the two kinds of test data can be analyzed jointly or separately. I’ve discovered that many standardized tests of math and reading skills, such as the Wide Range Achievement Test, the Stanford Achievement Test, and the Wechsler Individual Achievement Test, are also used across many cultures, and can also be incorporated into the achievement test dataset. The First International Comparative Study is also called the LLECE (Laboratorio Latinoamericano de Evaluación de la Calidad de la Educación, or in English, “the Latin American Laboratory for Assessment of the Quality of Education”). Lynn calculates IQ scores from the LLECE by normalizing the scores against his average IQ for Mexico (88). So, for example, if a nation scored 1 SD higher than Mexico in math and reading scores, its IQ would be 103. This method gives him an IQ of 82 for the Dominican Republic. One problem with this method is that Latin American scores on international achievement tests are generally worse than Latin American scores on IQ tests. We should compare like with like. Four of the nations that participated in the LLECE assessments in 1997 also participated in the PISA assessments in 2000: Argentina, Brazil, Chile, and Mexico. Compared with the United Kingdom (which serves as our “Greenwich IQ” for international comparisons), Argentina had a PISA “Achievement Quotient” of 81, Brazil 76, Chile 81.3, and Mexico 75.5. So the average PISA AQ of these four nations was 78.5 in comparison with the UK. The average math+reading scores of these four nations was 263 in the LLECE, with a set standard deviation of 50. The Dominican Republic scored about three-fifths of a standard deviation below this average (lower than any other participating nation), giving us an AQ of 69.8 (Casassus et al, 2000). The LLECE was followed by the Second Regional Comparative and Explanatory Study (SERCE) in 2006. Five of the participating Latin American nations were also included in the 2006 PISA assessments. Once again, using the scores of these nations as our bridge, the AQ of the Dominican Republic was 66.3. The Dominican Republic was also the lowest scoring nation in the 2006 assessment. In fact, the next lowest scoring nation—Guatemala—scored almost one half of a standard deviation higher (Valdes et al., 2008). The average of the two tests gives us an AQ of 68 for the Dominican Republic (Table I). For comparison, Altinok & Murseli (2007) also put the data from LLECE, PISA, and other international assessments on a common scale, using their own methods. Their results give the Dominican Republic an AQ of 74.7 in comparison with the UK. I’ve located two small studies with intelligence test data for the Dominican Republic. The first study (Castillo Ariza et al, 1988 ) compares the test scores of 7-9 year old children who were hospitalized for malnutrition in their first two years of life, with their 6-13 year old siblings who were never hospitalized for malnutrition. These two groups were tested with the Spanish version of the Wechsler Intelligence Scale for Children. Presumably the study authors are using the version normed on Puerto Rican children somewhere around 1955 (Roca, 1955). The IQ scores are reported as 68.2 for the malnourished children and 71.3 for their siblings, but these low scores actually become much lower after we account for the Puerto Rican norms and the three decades of Flynn inflation: these adjustments give us an IQ of 46.3 for the malnourished group and 49.4 for the sibling group. I’m rating the normalcy of the samples the same way I did for Jamaica: children that were hospitalized for malnutrition are a Mostly Disadvantaged subset of Dominicanos, while their non-hospitalized siblings must be, at least, a Slightly Disadvantaged subset. The second small study looks at the IQ scores of Dominicanos with complete androgen insensitivity syndrome in comparison with their healthy relatives (Imperato-McGinley et al, 1991 ). These two groups were tested with the Spanish version of the Wechsler Adult Intelligence Scale, which was normed in Puerto Rico in 1965 (Green et al., 1967). There aren’t strong a priori reasons to suspect that androgen insensitive males should have lower IQs, but it seems prudent to classify them as Slightly Disadvantaged. The Flynn and norm adjusted IQ of the 13 androgen insensitive males was 83.4, while the IQ of the 34 healthy controls was 91.7. The four small samples from the two studies are listed in Table II. Only one of the groups consists of normal, healthy Dominicanos. This sample gives us an IQ of 92 for the Dominican Republic. I find it probable that this number is too high. The IQ scores of the disadvantaged samples in Jamaica suggest a deficit not larger than 1 standard deviation. So it is implausible that the control siblings in Castillo Ariza et al (1988) are straying that much farther from the population norm. And certainly the achievement data suggest a much lower IQ. Lynn’s number (82) certainly feels more correct, but it is not well grounded in actual measurements. 92 is a more cautious placeholder until we have better data for the Dominican Republic. This IQ is more than 1 and a half standard deviations higher than 68, which is my current value for Haiti. Altinok, N., & Murseli, H. (2007). International database on human capital quality. Economics Letters, 96, 237-244. Castillo Ariza, M., Gonzalez Sanchez, M., Reyes Baez, J.F., & Ariza Castillo, M. (1988). Estudio longitudinal del coeficiente de inteligencia en un grupo de lactantes Dominicanos desnutridos de III grado. Archivos Dominicanos de Pediatria, 24, 83-88. Casassus, J., Cusato, S., Froemel, J.E., & Palafox, J.C. (2000). First International Comparative Study of language, mathematics, and associated factors for students in the third and fourth years of primary school (second report). Latin American Laboratory for Assessment of Quality in Education. Santiago, Chile: UNESCO. Casassus, J., Froemel, J.E., Palafox, J.C., & Cusato, S. (1998). Primer Estudio Internacional Comparativo sobre lenguaje, matemática y factores asociados en tercero y cuarto grado. Laboratorio Latinoamericano de Evaluación de la Calidad de la Educación. Santiago, Chile: UNESCO. Diamond, J. (1997). Guns, Germs and Steel: The Fates of Human Societies. NY, USA: WW Norton & Company. Diamond, J. (2005). Collapse: How societies choose to succeed or fail. London, UK: Allen Lane. Green, R.F., & Martínez, J.N. (1967). Standardization of a Spanish language adult intelligence scale. Final Report. Washington, DC, USA: US Department of Health, Education & Welfare. Imperato-McGinley, J., Pichardo, M., Gautler, T., Voyer, D., & Brydent, M.P. (1991). Cognitive abilities in androgen-insensitive subjects: comparison with control males and females. Clinical Endocrinology, 34, 341-347. Jones, G., & Schneider, W. J. (2006). Intelligence, human capital, and economic growth: A Bayesian Averaging of Classical Estimates (BACE) approach. Journal of Economic Growth, 11, 71-93. Lynn, R., & Vanhanen, T. (2002). IQ and the Wealth of Nations. Westport, USA: Praeger. Lynn, R., & Vanhanen, T. (2006). IQ and Global Inequality. Augusta, USA: Washington Summit Publishers. Roca, P. (1955). Problems of adapting intelligence scales from one culture to another. High School Journal, 38, 124-131. Valdés, H., Treviño, E., Gloria Acevedo, C., Castro, M., Carrillo, S., Costilla, R., Bogoya, D., & Pardo, C. (2008). Los aprendizajes de los estudiantes de América Latina y el Caribe. Primer reporte de los resultados del Segundo Estudio Regional Comparativo y Explicativo. Santiago, Chile: UNESCO. Have you tried contacting Lynn about these methodological issues? It would be interesting to hear his response to these criticisms. I’ll probably initiate some sort of correspondence when l I’m done with the Caribbean. Interesting post. Looks like there are now too many holes in Lynn’s work for his data to be considered reliable. I’ll update my post on Quisqueya accordingly to account for your data. This is the wrong take home message. The right message is that Lynn’s data is unreliable when it comes to countries for which there is unreliable data. On page 17 of L & V (2012), quality of data measures are given for each country. Caribbean countries have the lowest quality of data. Lynn acknowledges this. What he doesn’t acknowledge is that he is highly biased towards his genetic hypothesis. Results are interpreted accordingly. This bias has a large effect when it comes to countries for which the data is scarce (e.g., the Caribbean, South East Asia, and some parts of Africa). It has little to no effect when it comes to countries for which there is a cornucopia of information — because it can’t. Generally, Lynn’s work is very reliable when concerning countries for which data is plentiful. Ok, I’ll take a closer look at L & V’s data quality analysis. Though to me, it doesn’t change the fact that the data should be taken with a grain of salt (though I agree with you that one can have higher confidence in higher-quality data). I don’t know about that. Lynn seems unreliable even when it comes to countries where data is plentiful (or close to it). Look at his conduct with southern Italy, and now southeastern europe. While it is possible IQ is somewhat lower in those regions than northern and western Europe, Lynn’s explanation for this is because their IQ’s are lower due to non-white admixture, and those regions aren’t fully white. He’s really firmly set on this idea, and it ties into his beliefs in paleolithic ice age climates being the overwhelming detriment of racial differences in IQ and behavior, which have remained essentially fixed since then. He’s held on to such beliefs, from what I’ve seen, for quite some time, despite how foolish and absurd they really are, as casual observance of this scene over the past several years can attest. That hardly bodes well for him, and to this day, I do not trust his figures on east asian IQ. They’re likely a bit higher than whites, but 105-106, especially thoughout China? I honestly kind of doubt it. This is over 6 years old- how many people know of this? What do you think it says about Lynn’s intellectual honesty and moral integrity that he praises such an extreme, deranged book? I know the claim he once said we should consider “phasing out certain races” was something he paraphrased from a book he was reviewing, but this appears to be his own words. I’d be curious to see what the 1% is he doesn’t agree with. Ireland, Israel, Iran, India, Mexico, Turkey, China, and affluent small tigers like Hong Kong, Singapore, and Taiwan.